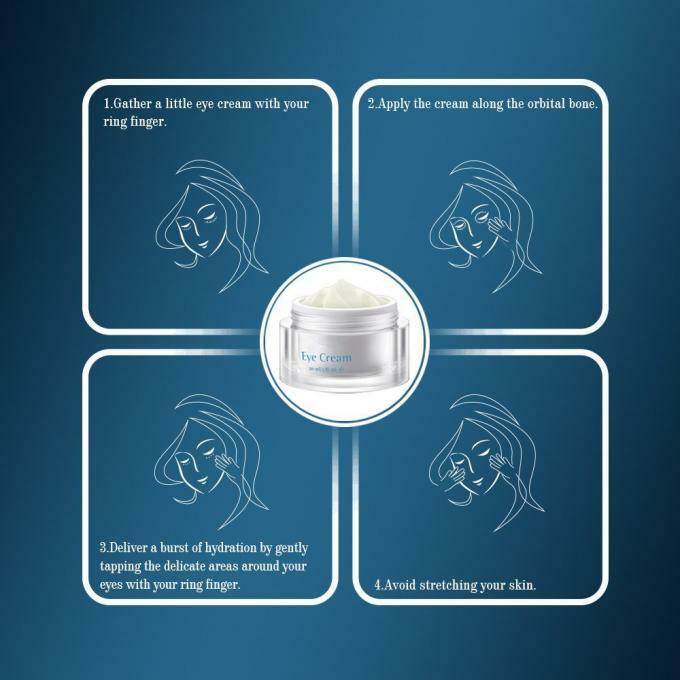 Fortifying & wrinkle-reducing: Contains a potent combination of argireline, sweet almond protein and red algae extract; accelerates eye muscle collagen synthesis to regain skin elasticity; significantly reduces wrinkles and improves texture. 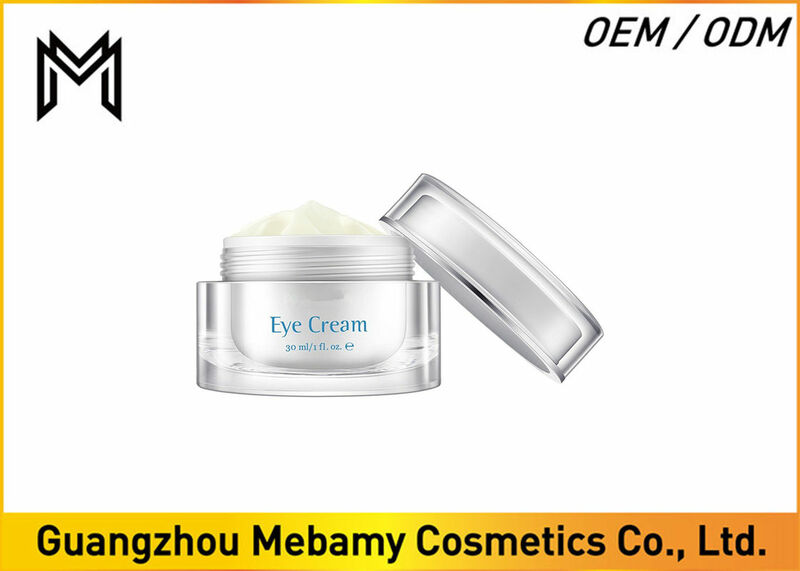 Moisturizing eye treatment: Added sodium hyaluronate, vitis vinifera seed oil and jojoba oil; gently moisturizes the delicate under-eye areas and leaves your skin feeling strengthened; smoothens the skin and can be used under makeup. Diminishes bags & droopy lids: Tightens any baggy skin around the eyes while speeding up blood circulation to metabolize and eliminate any toxicants generated. 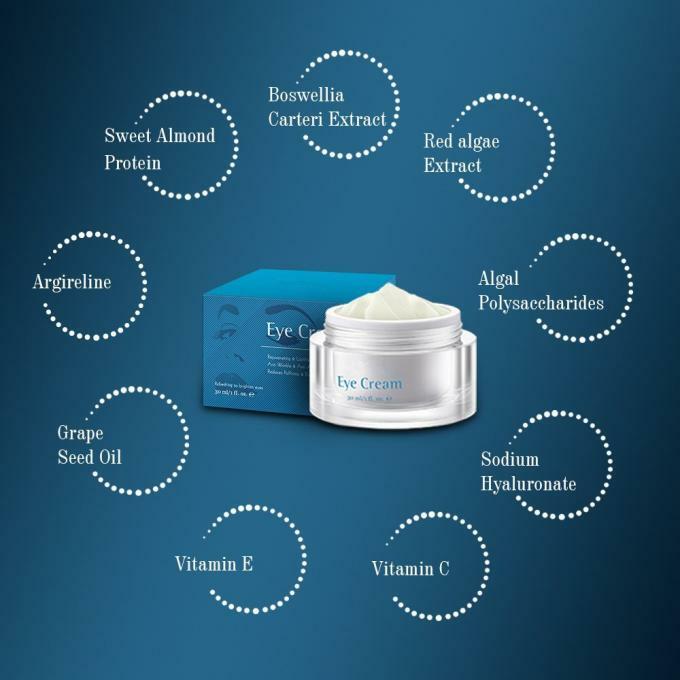 Reduces puffiness & dark circles: Natural anti-inflammatory abstracts like boswellia carteri extract prevent edema and dark areas below the eyes; instantly brightens skin around the eyes. Safe skin care: Free from parabens, mineral oils, fragrances, and colorants, and is not tested on animals; suitable for sensitive eyes. 8. Free from parabens, alcohol and dyes. 1. Gather some eye cream with your ring finger. 2. Apply the cream along the orbital bone. 3. Deliver a burst of hydration by gently tapping the delicate areas around your eyes with your ring finger. 4. Avoid pulling any skin. 5. Can be applied day or night.